What Makes A Recruiter Great? Recruiting can be hard for every industry. You may find yourself in need of new staff and administrators, but have no idea where to look or how to attract the right crowd. You may be deploying your job offers online, but nothing is coming back. The workload is mounting for your current employees and you need to find a solution fast. As a LAW FIRM you are essentially attempting to sell yourself, as a business and a potential culture and work environment, to a potential CLIENTS. As a candidate you are looking to find a A LAW FIRM that will not only pay you well, but also be an enjoyable experience. Make sure your find a recruiter who has a track record of placing people at the best firms. Go with the most respected legal recruiters. If they take you on, you’re in luck. Work with the best, it is common knowledge in the legal profession that candidates who work with one recruiter have an overwhelmingly higher rate of success than those that use several recruiters. Be honest with your recruiter, be as transparent as you feel comfortable about the interviews you’ve had, this information may be useful in identifying what firms desires your skill set. 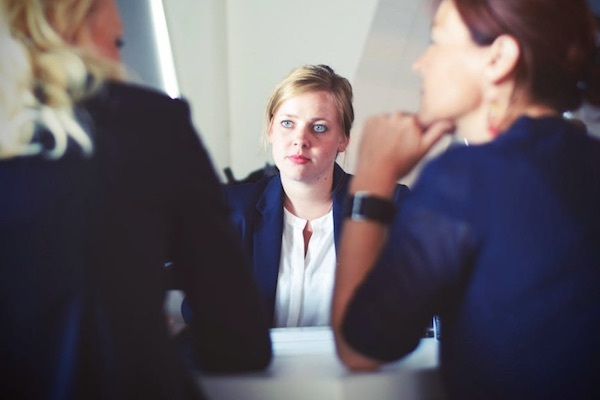 Recruiters have relationships with many of the firms, by disclosing who you’ve been in conversation with helps to get you in front of the senior partners of those firms who may of overlooked you. A thoroughly screened candidate reveals their strength, which the best recruiters use to selectively place you in the firms for a perfect fit. Every lawyer knows that any seemingly un-important information omitted if discover and deemed significant will be viewed as deceitful and will most likely sabotage your chances of being considered. A rigorous vetting helps to hash out any potential flags a prospective firm might otherwise reject the prospect for. Often the answers ally any concern, but that’s why the screening is so necessary. Here are the top questions you need to be prepared to answer . . .
Why you are considering a move? Your interest in the specific firm. An expansive description of your work experience (detailed narratives discussing cases and outcomes). Why you have made certain job changes in the past, with thoughtful explanations. Any special awards and or values that may set you apart from your colleagues. All of the above aforementioned questions help you the candidate define your value proposition. Why hire you? Why you are a stand-out? Also of import is a comprehensive cover letter that is specific to a firm, typically several pages. Never underestimate a well thought out value statement. Lawyers are great in the court room, especially when representing themselves. When it gets down to any firm weighing in on your qualification, they will vet all of your documents, including your value proposition. The more ammunition you provide the better your chances. Simply blasting your resume out there will do more harm than good. Lastly, your recruiter should ask you for a deal sheet or significant transactions sheet if you are a Corporate, securities, real estate, or attorneys should provide a deal sheet or significant transactions sheet to your recruiter. Litigators should provide the recruiter with a couple of recent writing samples of mostly your own work. The recruiter should have examples of deal sheets, depending on your practice area, to assist with your detailed transaction list. Let your recruiter review these pages, another set of eyes is always a good idea, plus there may ways to improve your deal sheet. This also helps the recruiter to formulate a strategy on how to proceed. WHEN EVER POSSIBLE IT ITS GOOD TO meet your recruiter in person, it’s much more conducive to developing a stronger, more trusting, and overall more successful outcome. Keep in constant contact with your recruiter. This is important, give your recruiter your full attention. Make yourself available should there be a need. Take control of your search, give direction and pick up the phone and make sure your expectations are being met. The primary objective of the recruiter is to match the skills of potential job seekers to the firms that value those skills. On Balance Search Consultants LLC specializes in recruiting for legal firms, specifically the partner search process. One of On Balance’s President Shari Davidson, has had almost a decade of expertise. She has been able to assist with recruiting programs for Fortune 500 companies and has had a success rate of about 99% in the last five years. Looking for work in NYC, On Balance has extensive contacts in Manhattan successfully placed top attorneys at the best firms. On Balance is able to evade useless expenses that companies so often waste on recruiting. Retrieved on January 18, 2016 from http://zgrecruiting.com/wayback-wednesday-professional-recruiting-5-factors-of-time-practice/. Payback Wednesday – Professional Recruiting: 5 Factors of Time and Practice. Swig Group Recruiting. Retrieved on January 20, 2016 from http://www.bcgsearch.com/article/60699/How-to-Select-the-Best-Legal-Recruiter-and-Maximize-the-Effectiveness-of-Working-with-One/. 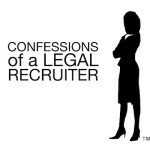 How to Select the Best Legal Recruiter. BCG Search. This entry was posted in OBS Blog, What Makes A Recruiter Great? and tagged deal sheets, transaction list, value proposition. Bookmark the permalink.